It’s the beginning of the 4th quarter and there’s still plenty of time for you to achieve your goals. Keep reading because I’m going to tell you how. But it’s going to take some work. Being an entrepreneur is a lot like running a race – your strategy, focus and actions will determine how you finish. If you begin the race without a strategy and no focus you run the risk of getting injured or worse yet, not finishing at all. 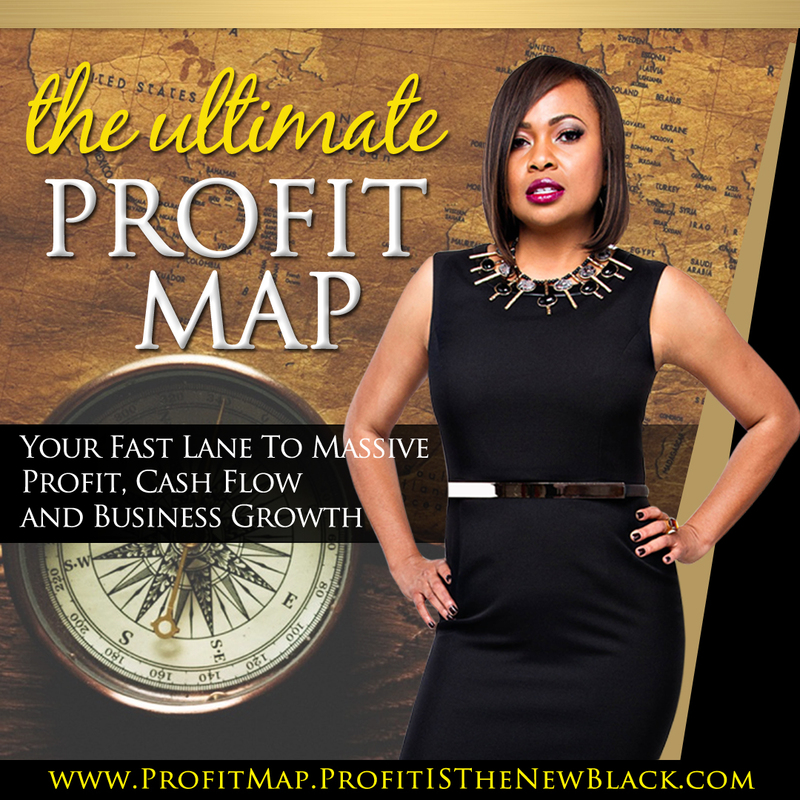 I want to help you win and achieve breakthrough results in your business so I’m going to share one of the exact strategies I used to grow my business more than 800%. Let’s imagine that you’re standing at the start line symbolized by the 4th quarter. Your goal is to make it to the finish line but what’s it going to take to get there? Below are the steps I used to grow my business and continue to use daily. I know they work but the key is consistency. There will be days when you’ll want to throw in the towel and quit but winners don’t quit. Know your numbers – Before you set your goals you’ll want to know where you are currently. 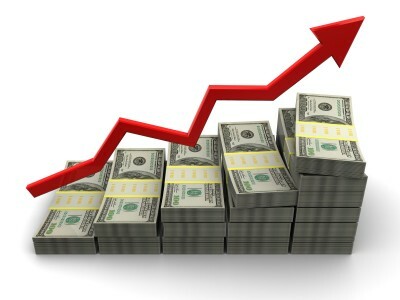 What’s your current monthly revenue? What are your monthly expenses? How much revenue will it take to to breakeven? How much revenue will it take to generate a profit? Decide what you want – It sounds simple but research reveals that only about 10% of people know exactly what they want. What do you want to experience in your business and life? Set goals – How many prospects do you need to contact with in order to reach your goal? How many products do you need to sell? How many clients do you need to hit this goal? Once you have this level of detail now you can set your goals based off of the number of contacts you need to make. Believe in yourself – Know that you can achieve whatever you desire, no matter what. It doesn’t matter what’s happening around you. You may hit a bump in the road but remember that you can do this. Sell! Sell! Sell! – Get on the phone and let your connections know that you’re in business. Find out how you can support them. Let them know about the amazing products and services you have to offer. Don’t assume that having a facebook page and website means you’re in business. It doesn’t. In order to make money in your business, you’ll have to sell! There’s no way around it. In the beginning, step 5 was the one step I really didn’t want to do. I worked really hard to avoid it. But it was the one step that made the biggest difference in my bottomline. And it will change your business too! 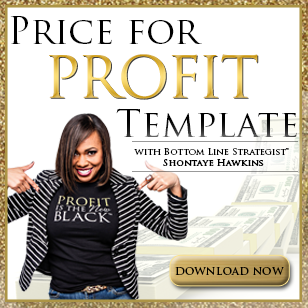 Bottom Line Strategist™ Shontaye Hawkins uses her extensive finance background and ability to “see through the numbers” to get your Profit Game Plan for success. 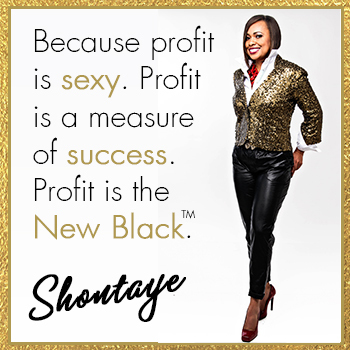 If you’re ready to eliminate money leaks, create your very own profit strategy - based on YOUR goals - and achieve growth + profit for MEGA results, then Shontaye has exactly what you need. To get your FREE audio gift and receive Shontaye’s weekly newsletter filled with profit tips and strategies, follow the link and enter your name and email address to receive your instant audio download.